Think you have it in you to be the next Larry Page? No need to Google how to become a successful CEO. We all know the first step is going to a school—or dropping out of that school if you want to go the Zuckerberg route—that’ll build the skills you need to make it to the big leagues. We’re talking competitive leadership programs, business clubs and beyond brag-worthy alumni networks. These 10 colleges hold the most potential to help hoist you into powerful positions. The exposure to a diverse student body proves vital to becoming a successful leader. Carnegie Melon’s unparalleled diversity rate (19.3 percent of students are international) means learning teamwork with different styles of communication and understanding other cultures. The Tepper School of Business requires students to step outside of their comfort zone by earning a minor outside of Tepper. “[This] makes us more well-rounded individuals with expertise in a different field, as many people even go beyond the minor requirement to get a double major,” sophomore Raja Amara said. “It lets us explore different areas where we could find a potential career path or simply just explore another passion.” With notable alumni like 1981 graduate and Zipcar CEO and Chairman Scott Griffith, the curriculum’s efficiency speaks for itself. For more leadership development, take a Zipcar on over to a meeting with the Carnegie Leadership Consultants, a group that brings peer-led leadership training to students across campus. If you want to live out your high school Gossip Girl fantasies to become as successful as Chuck Bass, NYU is the place for you. 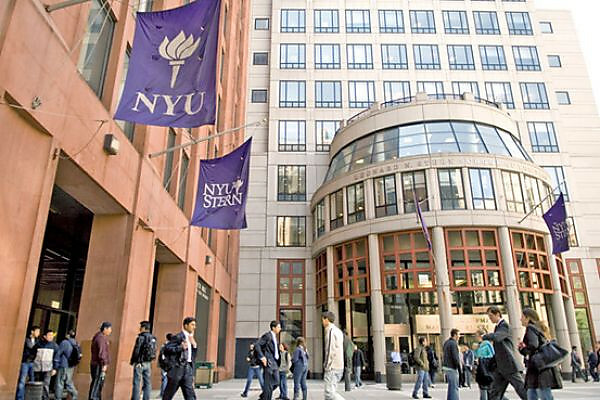 In the heart of New York City, NYU offers its students an incredible opportunity to explore the thriving metropolis and become independent leaders from the moment they step onto campus. NYU freshman Eric Hausken said the university’s location provides ample opportunities. “I worked as a summer intern at an editing studio and I hope to do something similar this summer,” Hausken said. With over 25 undergraduate business-oriented clubs and a personalized Leadership Development Program, Stern Business School prepares its undergraduates to rule their industries. One of the groups, Net Impact, strives to intersect the service and business industries. CEO alumni include Arthur C. Martinez, former Chairman and CEO of Sears and Ursula M. Burns, Chairman and CEO of Xerox and the first African-American woman CEO at a Fortune 500 company. 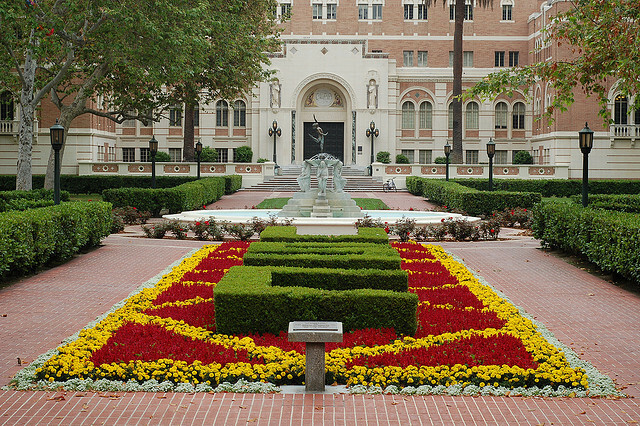 Regardless of your major, USC provides its undergraduates with the resources they need to become leaders by utilizing any one of their 39 undergraduate business clubs like Future Business Leaders of America or Marshall’s Leadership Institute. “Being at a school as large and diverse as USC has helped me become a leader in a variety of ways from looking up to the Rush leaders in my sorority to learning about the importance of leadership in my Marshall School of Business classes,” USC freshman Aubrey Gavello said. “My favorite [is] Linc, a program where I learn about business in Budapest and then get the opportunity to travel to Budapest.” If you ever enjoy delicious and cheap Trader Joe’s food, you can thank USC for graduating Dan Bane, Chairman and CEO, in 1969. UVA’s Center for Leadership Excellence (CLE) addresses career planning, leadership development and organizational development for managers and their teams. UVA senior Sydney Speetjens in the McIntire business school said the school stands out because the assigned work actually translates to the real world. “Many of my projects have involved me working with outside businesses and organizations, which has helped me learn how to practically apply theories I’ve learned in the classroom,” Speetjens said. UVA’s graduate Business School Darden offers undergraduates, graduate students and faculty the opportunity to attend the Darden Leadership Speaker Series, where leaders from around the world share their stories, expertise and advice. If you ever find yourself scrolling through Reddit for hours on end, you can thank Steve Huffman for founding it after graduating from the University of Virginia in 2005. In 2007, Notre Dame’s graduates listened to a commencement speech from alumnus Jeffrey Immelt, CEO of General Electric. With alumni like Immelt and Daniel Hesse, former president and CEO of Sprint Corporation, Notre Dame’s alumni network gives undergrads a leg up in the business world before graduating. “Coming into the job search with no real industry connections, I was nervous about my prospects of finding a good job,” ND senior Chloe Wieber said. “The ND alumni networks at big companies are incredibly helpful, and they love to come back to recruit at ND.” While we’ve all heard horror stories from colleges that force undergrads to declare a major before they even apply, the word “limit” doesn’t exist in Notre Dame’s vocabulary. ND’s Mendoza School of Business requires all students to take all introductory level courses to each of the majors to ensure students to make sure they actually like it. Resources like Leadership Seminars, Student International Business Council and Mendoza’s Gigot Center For Entrepreneurship help create Notre Dame CEOs of the future. “I had a lot of unique class experiences that I was able to talk to recruiters about, and the emphasis Mendoza places on group work is something extremely valued by successful companies,” Wieber added. If you sport a near-2300 SAT average, throw in an application to MIT to potentially gain access to one of the most helpful networks in the world. With its unique “Management Science” major, MIT teaches students how to logically approach the design and administration of intricate business systems. The Leadership Center offers undergrads the tools and training—either through academic credit, the 360° Leadership Development and Coaching program or skill-based workshops—they need to become leaders within organizations. “MIT has helped me build upon many of the traits that are important for being a good leader; most noticeably, it’s helped me greatly improve my analytical and problem solving skills, which are key to being a leader in industry,” MIT junior Zach Churukian said. Alumni like CEO of the CIT Group John Thain and co-CEO of JP Morgan Chase Donald Layton make up part of the alumni association that helps aspiring student leaders move up the corporate ladder through networking. The Victors for Michigan follow the motto “Leaders and Best,” aiming to transform lives and become leaders of society as proponents of the greater good. “There’s a reason we’re the ‘leaders and the best,’” Michigan freshman Willa Bautista said. “Students at Michigan are encouraged in every aspect of their lives to take initiate and be engaged.” The alumni network is a CEO powerhouse, including David Barger ’71, CEO of JetBlue Airways, Jim Buckmaster ‘90, CEO of Craigslist, and Richard Costolo ’85, CEO of Twitter. In the Ross School of Business, students take advantage of the Sanger Leadership Center and Emerging Leaders Program to develop awareness and tools to function as leaders of today’s society.